Home > Local News > How much will school employees pay in health care premiums? The new teacher health insurance deal passed by the Legislature last week gives school boards little choice but to require teachers and support staff to pay 20 percent of premiums. The premiums on these new health insurance plans range from $523 per month for a single plan to $1,450 per month for a family plan. The cost is significantly lower than current insurance premiums. A worker paying 15 percent of premiums on a single plan currently pays $112.80 and would pay $104.60, with a 20 percent buy-in. A worker paying 10 percent of premiums on a family plan is currently paying $198.30 and would pay $290 per month if paying 20 percent of the new premiums. While many workers will pay roughly the same amount of money or less for their health insurance premiums, there are at least 67 districts where support staff will pay more, and at least 14 districts where teachers will pay more. 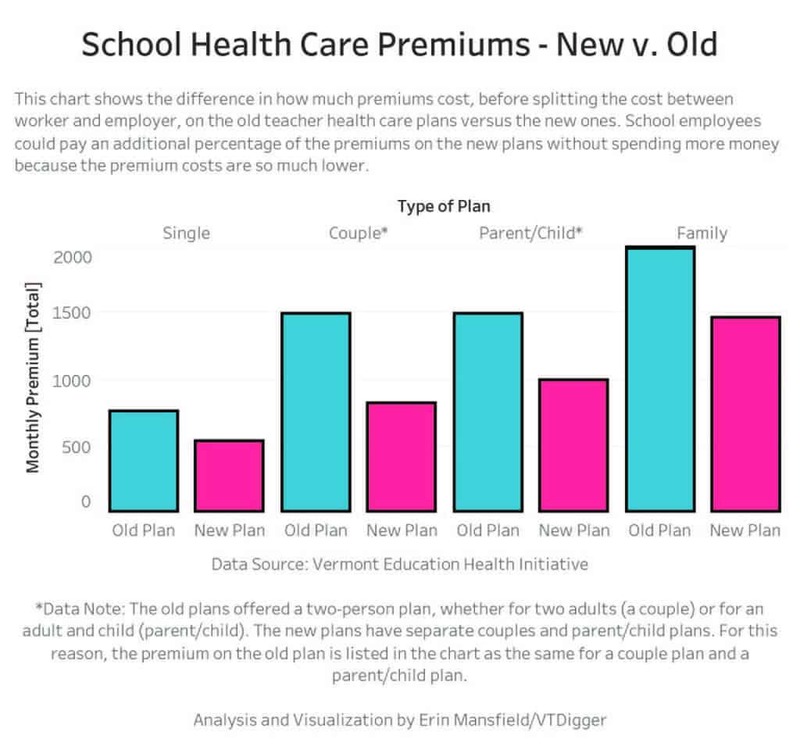 Use more charts at vtdigger.org to figure out how much your district or your family would pay in premiums if your school board negotiates an 80/20 split on health insurance premiums.